Scores, highlights, and more from Day 1 of the super regional round. 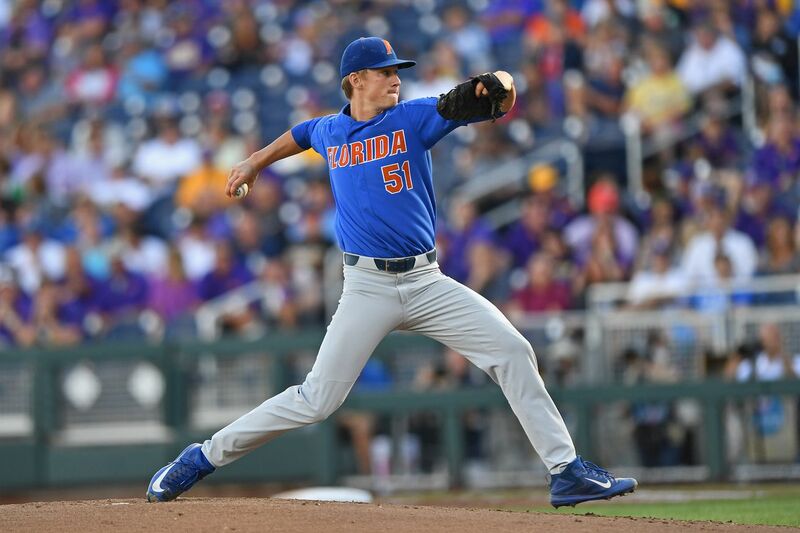 Super regional action in the 2018 NCAA baseball tournament kicked off on Friday with four sites hosting best of three tilts for a shot at the College World Series proper in Omaha, Neb. When all is said and done on Monday, just eight of 64 tournament teams will remain and head to college baseball world’s version of the Big Dance. Stetson and North Carolina both handled business in their respective regional rounds, and they met in Chapel Hill for the early show on Friday. The Tar Heels struck out to an early 4-1 lead, but Stetson never really lost contact, pulling up to a 4-7 disadvantage with one out left in the ninth. The Hatters rallied to load the bases, and UNC’s skipper had to waste two good arms to get his club through the final out. Here’s the face of annoyance. The Heels prevailed in the end, 7-4, on the strength of a strong fly-out to left field. Carolina and Stetson will meet again on Saturday at noon Eastern. Cal State Fullerton is hosting Washington in the Titans’ first super regional hosting privilege since 2013, and they leapt out to an early two-run. That’s not why we’re here, though. We’re here because Fullerton’s facial hair game remains undefeated, after going undefeated in last year’s super regional round. Washington tied things up, 2-2, in the top of the third inning, and went from there into full-on stomp mode, blasting six more runs with the help of FIVE Fullerton errors on the Huskies’ way to an 8-5 win. This club can hit, their bullpen is deep, and they showed discipline on Friday. That being said, the Titans are also a punchy bunch, and they’ve been to Omaha a number of times since Washington’s last visit. This series is far from over. In the Corvallis super, Oregon State got off to a hot start astride a 6-0 opening salvo through six innings. three of which came off of homers from Adley Rutchman and cleanup man Trevor Larnach. The Beavers have been hitting long balls all afternoon, forcing Minnesota left fielder Ben Mezzenga to make spectacular catches like this. The Beavs lead after the sixth inning, 6-0.